Compact fluorescent lights or CFL bulbs last 10 times as longer as your traditional incandescent lights. They may cost a few pennies more but you will definitely get that money back in the long one when you don’t have to replace them is often. Your home thermostat should be set for a cool 68° during the fall and winter. That might seem counterintuitive to keeping your house warm but it is the recommended setting for peak energy efficiency. It might be smarter to wear a sweater and save the money on your utility bill. Energy efficiency also extends to your car. Following the recommended maintenance repairs is a good way to ensure your car is what running at optimal efficiency. It also helps to keep your trunk clear of excess junk that would be a drag on your mileage. Every single entity that you pay a bill to has a web site that allows you to do the same thing online. You can even take the further step of canceling your paper bills and instead keeping all your records right on your account. These accounts can also set up for automatic withdrawal, which makes paying the bills even simpler. A reusable water bottle is perfect around the office with a water cooler. It allows you to quench your thirst without generating more plastic. There are also reusable water bottles with built-in filters that let you clean water. Believe it or not, a full freezer is a more energy efficient freezer. It takes more effort for your refrigerator to keep an empty freezer cold. Filling up your recycling bins with plastics, newspapers and cans is a positive first step but you don’t have to stop there when it comes to clearing rubbish from your home. Most of what you want to get rid of like furniture, appliances and other household goods can be recycled when you turn them over the Junk King St. Petersburg. These are the junk removal specialists who have been going green ever since they started collecting rubbish over 12 years ago. Junk King St. Petersburg knows where all the certified recycling facilities are throughout the area. They’ll make sure your junk gets to the right space. 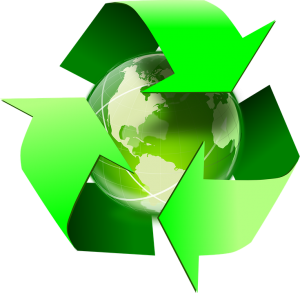 Junk King St. Petersburg is the best recycling partner you could hire to get rid of your junk. This entry was posted in St. Petersburg Junk Removal and tagged home, junk, junk king, recycling on August 29, 2017 by Junk King. Last updated August 29, 2017 .